At first glance Greece and Britain would seem to have little in common, stuck as they are at the opposite ends of the European Union not only geographically but also economically. Whilst the UK economy has slowed down in the wake of the 2009 downturn, it has not seen anything like the destruction in terms of income and output suffered by the small Balkan nation. However, despite the differences in history and modern political culture the British political scene is showing remarkable similarities to its Hellenic counterpart. Old certainties are crumbling, the traditional parties of power are facing challenges and new formations have emerged that undermine the status quo.Like UK politics, modern Greek politics have been dominated by two main parties, the centre Left PASOK and the centre right New Democracy have held power in one form or another since the 80's and even as late as 2009 could easily assure (in all but a few cases) that they would rule without the need of a coalition partner. All that has gone and along with it an entire political system that grew up in its wake. The most dramatic fall has been that of PASOK who in 2009 could still drum up 44% of the popular vote yet today languishes at 6-7% in the polls. While the conservative New Democracy party has suffered less it has seen it's level of support drop by a third and can no longer rule alone, both the victim of unpopular austerity measures that have failed to lift the economy out of the crisis and have seen the country's foreign debt balloon. So what can UK political leaders learn from these experiences? Judging from recent development probably very little as they seen intent on using the same formulas that have been tried and found wanting not only in Athens but across the EU. This means that in all likelihood the same outcomes will be seen in Britain meaning what exactly? 1 - Under pressure from the rise of UKIP (United Kingdom Independent Party) UK Tories have been moving to the Right in order to win back ground on issues such as immigration and law and order. 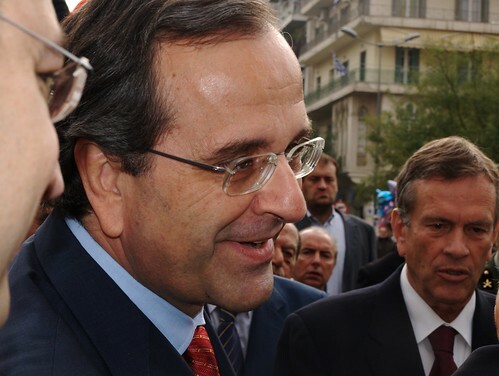 The Greek prime minister, Antonis Samaras reacted in this manner in order to thwart the rise of Golden Dawn who have been siphoning off votes from New Democracy's right flank. This resulted in mass police sweeps of recent arrivals in Athens and the creation of internment camps where those without documentation sometimes wait for months or years to be released. Such draconian measures did little to win back voters, as this strategy suffers from two weaknesses; firstly, the move to the right legitimises the other, smaller right wing parties and so allows them to fight campaigns on their "own turf" politically. Instead of being on the sidelines shouting to be heard, parties such as Golden Dawn, True Finns and France's National Front get a front row seat in political and media debates and so policies once considered as extreme or part of the lunatic fringe are suddenly seen as part of mainstream discourse. Secondly, the growing distrust of mainstream political parties means that while conservative voters may agree with a "tougher" stance on issues such as immigration they may not believe that the Tories will keep their word, or that any measures taken will be purely cosmetic.So in the end the use of "dog whistle" politics damages the Conservatives who alienate the centre while not convincing those further to the right that they can be trusted to keep campaign promises. 2 - UK Labour party has promised that should it win power it will produce a balanced budget which means that unless it seriously changes taxation legislation (almost unthinkable for Labour strategists) this will involve a series of cuts in public spending so repeating previous Tory policies. 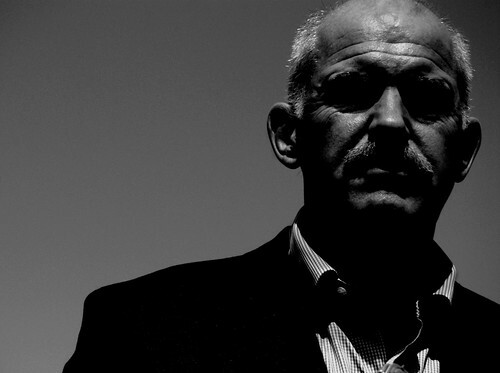 Since 2009 Labour's equivalent, PASOK has applied such cuts in order to comply with foreign creditors' demands and the result, politically has been a decimation of its party base and the rise of the once, tiny SYRIZA radical left party which is poised to become the next government of Greece. As there is no SYRIZA waiting to step from the wings in British politics many traditional party Labour voters will probably either vote UKIP (or SNP in Scotland) or simply not bother voting given they have been offered no real choice in terms of policies on offer.This decline is simply heightened by the lacklustre leadership of Ed Miliband, whose wooden speaking style and inability to connect with ordinary voters echoes that of ex - Greek PM and PASOK leader, Giorgos Papandreou who suffered from the same weaknesses. 3 - It seems that fate of smaller coalition partners across the EU to be diminished by their time in power and this is no different in Greece or Britain. So far three parties have at one point or another formed a coalition with the dominant New Democracy party and all three have seen their support dwindle from the alliance. Both the far right LAOS party, the centre left Democratic Left parties have virtually disappeared from the polls and a rump PASOK is languishing with support in the single digits. Likewise, the UK's Liberal Democrats have also paid the price of a place at the table and the endless compromises they have made in order to accommodate the Conservatives' agenda will become crystal clear in the 2015 elections when few of those who switched their votes in the previous general elections will make the same mistake again. 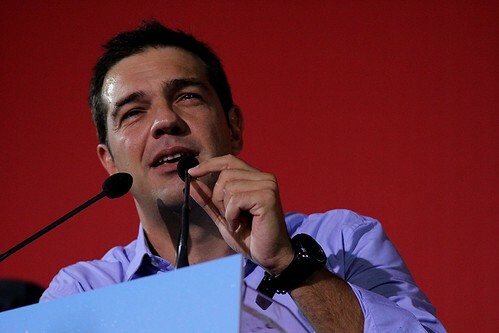 4 - In Greece the demands that government pass yet more cuts and impose more taxes has forced previously implacable political enemies to kiss and make up in order to pass legislation in parliament that is deeply unpopular. 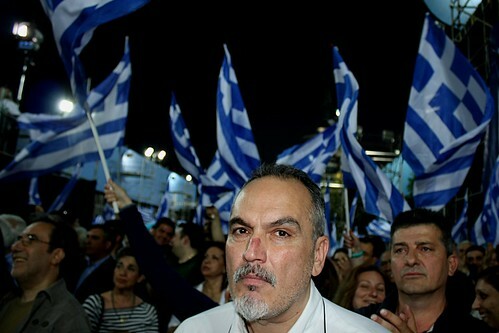 The sight of a series of government with both PASOK and New Democracy has weakened both and led many voters to dismiss both as simply two sides of the same corrupt political coin, further fuelling the rise of other parties both on the Left and the Right. In the UK the sight of David Cameron, Ed Miliband and Nick Clegg all campaigning side by side in the Scottish referendum has produced a similar image, the idea that despite all the faux fighting over issues, all three parties are essentially the same when push comes to shove. This unedifying sight will also help UKIP, promoting their idea that they are the plucky political outsiders, untainted by the politics of compromise, willing to take on vested interests. This approach has certainly worked for Greece's neo-Nazi Golden party which has managed to retain third place in the polls by presenting itself as a right wing anti-systemic force, untouched by the corruption associated with politics of power. It's a message so powerful that Greek conservative voters are willing to oversee the parties bloody recent history and blatant extremism, not to mention universally negative press. While the UK mainstream may rain down scorn and indignation on UKIP, in the end it probably won't deter many from voting for them, since as the Scottish vote showed even the weight of the entire press corp against you doesn't always guarantee that people will buy into an agenda that the media has set out. The reality is that in both politics and media the old world is disappearing and yet those at the top of both these greasy poles seem intent on ignoring these changes, terrified of the new, intent on clinging to worn out ideas whose sell by date has long gone, the only question is how long the political leaders and their media teams across the EU will insist on using tactics and polices that are obviously not working.